Did you know that Snapchat users are watching 10 billion videos every day? Yes, you read that right, 10 billion videos daily. According to the statistics, Snapchat has more than 173 million daily active users and more than 300 million monthly active users, which makes it one of the most popular social apps in the world. It’s huge popularity among the youth and its higher user engagement makes it a lucrative platform for businesses as well. Despite all this, it might not be that easy to get started with Snapchat. You can not just pick the app and start using it. I know this might offend some of the Snapchat fans out there but the app interface is quite overwhelming for the first time user. To help keep the learning curve down to a minimum, here is a guide that not only tell you how to use Snapchat but also tell you how to achieve success with it. Before you start using Snapchat, it is important to have a sound understanding of Snapchat terms. Here is a quick rundown that will tell you what each term means. Snap Filter: Snap filters add visual appeal to your snaps by adding a customizable layer. Snap Lenses: Snap lenses allows users to add special effects to your photos and videos when you are taking a Snap. After getting the basics out of the way, let’s get started with how to use Snapchat. Start off by capturing your friend Snapcode by taking a picture of it. Select the ghost icon and go to add friends. Here you will see multiple options, choose “By Snapcode”. Now, upload the photo of your friend’s Snapcode that you have taken and your friend will be added to your Snapchat. We have already talked about how to add friends on Snapchat but what about friend request that you receive? Check out the ghost icon to know whether you have any received any friend request or not. If the ghost turns yellow, this means that you have a pending friend request. Select the yellow ghost icon to view the friend request. Now, go to your profile screen and tap on “Added me” option. Select the “+” symbol beside the name to add them. Take a picture by pressing the capture button at the lower end of the screen. Hold the same button to record video. You can easily delete the picture or video by clicking on the “X” icon. Tap the camera icon in the top right corner to take selfies. You can also do that by double tapping on the screen. When you are done capturing your snap and adding effects and filters on it, you can send it by hitting the blue arrow icon near the lower end of the screen. This will pop up a list of contacts so that you can choose contacts you want to send the snap to. Users can see a delivered arrow which indicates your message has been sent. OK, you now know how to create a snap and send it but what about viewing snaps that are sent to you by your friends? Swipe right or tap on the messenger icon in the bottom right corner and this will open up your chat history. Look for bolded square beside messages which shows that these messages are not opened. Tap on the message to open it. Users can also replay the message by holding down your friend’s name but users can only replay the last snap they viewed. Remember the color of icons varies with the type of messages. Here is a quick look at what each color represents. Related Read: Read The Good News That Snap Inc. Is So Excited About? How To Use Snapchat Filters? You can get creative and make your snaps stand out by adding a filter to it and add special effects with lenses. First of all, you will have enabled filters in the settings menu to use it. You can reframe your snap by choosing a filter. To add a filter, swipe right or left from the edit screen and you will see different types of filters. Choose a filter and tinker with it to personalize it before applying on the snap. Tap and hold down the screen to use the lenses feature and follow the instructions. Take a snap by pressing the capture button or hold it if you want to record a video. The better you follow the instruction the better will be the outcome. Snapchat’s story feature is one of the most popular and it has glued millions of users to it. To add snaps to your story to give it a personal touch, hit the blue arrow button, which will reveal a “Send To” screen. Choose “My Story” from there and press the blue arrow icon again and it will automatically be added to your Story. Do you want to delete snaps from your story? All you have to do is to tap the story and swipe up. Hit the garbage icon to delete the snap. Press the triangle shaped button present at the bottom right corner of the screen. This will take you to a screen where you can see the stories updated by your friends. To view a particular story, tap on the username of your friend. Snapchat will automatically take you to the next story after you are finished with one. 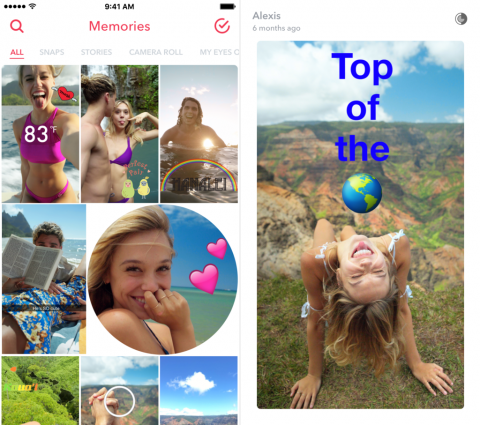 Want to create memories with Snapchat? You can do that easily by pressing the small circle below the capture button and then tap on “Start using Memories”. After agreeing to the terms and conditions, you can backup your snaps and can use it in the future. Users can also show these memories to their friends by making it public or keep it with them by making it private. Mastering Snapchat or any other social network for that matter might not be the easiest thing to do, especially if you are new to the platform. Once you start to get the hang of Snapchat, you start loving it and might get addicted to it too. Use this guide to get over Snapchat’s steep learning curve and use Snapchat like a pro. 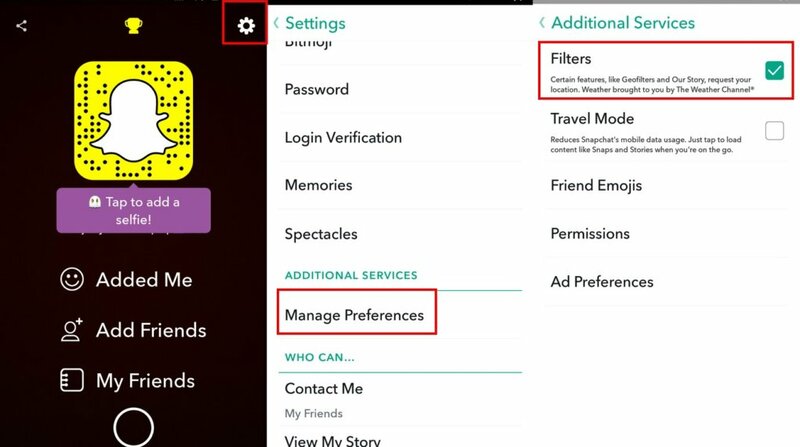 Did this guide help you in using Snapchat? Feel free to share your feedback in the comments section below.